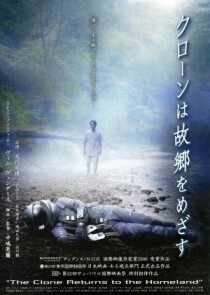 Kanji Nakajima’s The Clone Returns Home is a superbly crafted and touching science fiction film. It comprises an involving human story coupled to the exploration of interesting scientific ideas, technological, ethical and philosophical. The film, reminiscent of Tarkovsky’s work, is shot beautifully using desaturated, high contrast cinematography which creates an almost black-and-white world of shadows, pale greys and harsh, near-blinding light. You can find more information on this Japanese movie on IMDb. Low budget sci-fi reminiscent of Tarkovsky? I’m in right now. It has been on my list on a while, but I’ve been delaying it… maked me think of some movies with Brit Marling & The Machine. Did you watch Embers? I cannot say I particularly liked it but it has some mesmerizing moments, interesting ideas and is shot in a very Tarkovsky-like vein. Dead Man’s Letters (1986) is a superb Soviet dystopia shot by Lopushansky who worked during the Stalker’s production. It raises very interesting ethical and philosophical questions.